Hi everyone! I go by Steam but alot of you may know me by my real name, Leo. I am a single father of three, An aspiring film-maker and a Youtube Personality. (PS: If anyone knows of a better title, please let me know because I don't really care for that one) It's been my mission (a very enjoyable one) for several years now, to help people save money by helping them create their own DIY Eliquid. I began creating on YouTube with my cell phone, In a badly lit room, Not really knowing what to say or what to do. The overall quality was shotty, and honestly, It bugged me to produce such low video quality. To be honest, I never expected anyone to really watch or listen to me. (Please don't watch my older videos, Many thanks ahead of time). But people did find it, and shockingly enough, they asked for more. I began taking it serious, and it wasn’t long before I began to realize what the viewers enjoyed about my videos. I was simply being me. The stumbling bumbling fool that I am in real life. I've since been in recovery and fighting harder than ever to establish my platform in this ever-evolving industry. Being on YouTube and across other social platforms creating content, has been a tremendous source of strength. Vaping has saved my life in more than one way. It's very important to me to recognize the fans I do have, People that I consider friends, I've made through this journey. Without all of you guys I am absolutely nothing. I literally owe my life to all of you. Through Patreon, I ask for donations not out of sympathy, But out of sheer support. 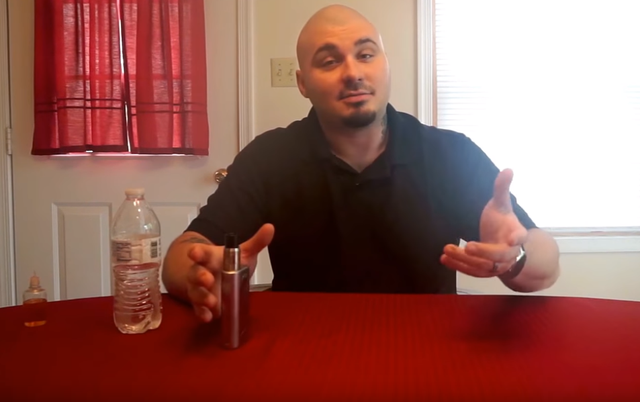 With the money raised I plan to obtain better equipment to create better content so that I can further my mission in helping people succeed in making their own Eliquid, Pay for server fees to implement a professional website to serve as a hub for my content, As well as pay for all of lifes immeasurable debts and bills. This is my passion, and I am committed. (I contribute 100% of my time to creating content.) Any support you can offer would be incredibly helpful. Keep spreading the knowledge and love vapers, Cloud Salute! I refuse to use a paywall to gate off content. If you love my content and want to support its continuation, chip in, but do not feel obliged. I love all the support I get! Goldmember: Hey, Dr. Evil, can I paint his yoo-hoo gold? • Personally mailed private recipes. Diamond: "I hate diamonds" Said noone. Ever. If you chip in on this tier I seriously owe you way more than private recipes. But I have to ask, Are you crazy? Or just filthy rich? • Mail you beta recipes/One Shot releases before they drop. My goal is simple. Make a living doing what I love to do. If you've contributed to helping make that dream a reality, THANK YOU! Every spare dollar received through Patreon will go toward recording equipment, necessary upgrades to hardware/software, and products intended for reviews and DIY.